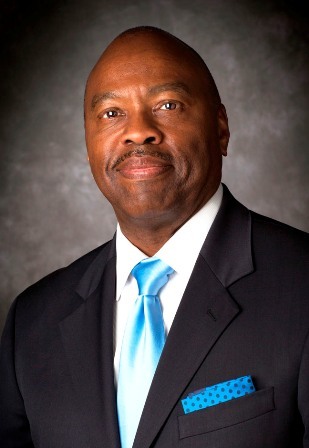 Phil Washington is not immune to criticism and as the CEO of the Los Angeles Metro Authority he has received his share. But what does make Phil Washington unique is that he is a problem solver. When Washington received statistical evidence showing people of color are overwhelmingly subjected to the L.A. Sheriff’s “stop and frisk” practices, he didn’t sweep it under the rug. Instead he, along with the head of security for Metro Alex Wiggins who is also African American took a proactive role in bringing an end to the practice. Washington wants community members to understand that Metro does not have a “stop and frisk” policy, but that the data appears to demonstrate that over the past four years a “stop and frisk” practice has certainly existed. “I want people to understand that all we want is for our riders to pay their fare and ride to their destination in a safe and joyful environment,” he said during a recent interview with the Sentinel. Said Washington, “In looking at the stats, we want to inform the people that if you don’t have your fare, transit police are going to run your name. But, if you do have your fare ($1.75), transit police should not and will not run your name just to collect the fare. We want to make sure riders understand that there are certain things that law enforcement is going to do. But we don’t want people to be subjected to [police harassment] for $1.75. LAWT: Are people being harassed even with their fare? “Metro does not have a stop and frisk policy and we don’t encourage our officers to contact anyone unless they are committing a crime. If it is happening, it is nothing that Metro endorses; we will put a stop to it. If they are investigating a crime, absolutely we need them to protect other riders. But if you have your fare and you’re not causing any trouble you shouldn’t have any problems”. African Americans are at the top of the list of fare evasion numbers. We are trying to start an education campaign on why everyone must pay to ride. I think the number will go down as well as the number of arrests will go down and must go down. If the number of fare evaders go down, but if the arrests remain up, then we will investigate if people are being targeted”. LAWT: What about the person who can’t buy a ticket (not enough time, etc.) is there an option to pay on the train? “Those people do have an opportunity to pay the fare if caught during a fare inspection. Our goal is not to write citations but only to have people pay their fare”. LAWT: What about the officer that doesn’t give that opportunity? “We would remind that officer of that change (of the rules). The fare inspector gets on the train, they have hand held devices that can detect if a person has paid their fare. LAWT: As far as arrests, being that they are so high, what are you doing to combat that? “Those stats cover all crimes on Metro, not just for fare evasion. That’s why we think that having a campaign about fare payment will lower those stats. (Paying the fare helps people to avoid interaction with the police.) I want people to be able to ride the system without any problems”. LAWT: If there are certain areas of higher arrests, are you doing more town halls and other forms of outreach in those areas or is the campaign just going to be blanketed (over all of L.A. County). All types of people evade fares, not just African Americans. We are dealing with this issue everywhere this is not just something that happens in South L.A.
LAWT: What can Metro say against those who would believe the stats? (That there are more African Americans that get citations on public transit) What are you doing to combat it? “Let me reiterate the importance of paying your fare and you won’t have a problem with law enforcement. We are also hiring a number of new transit security officers. They are actually civilians and will be taking over fare enforcement. They are unarmed and they don’t have arrest powers. That leaves our law enforcement officers to take care of crime prevention”. LAWT: What about the people who don’t respect the security officers’ authority? “What we find during our fare inspections, the vast majority of people are compliant. If we do run into such a person, they have created a situation that officers would have to be called. One of our goals is crime prevention on the system. We want to make sure that we get out in front of issues and that we are studying the data, we are looking at the high number of arrests of people of color and we want to know why? LAWT: is there a campaign name/ launch date? Not yet, we are just now addressing this data… We want to do it right. LAWT: What does Metro want the public to know? 3) Metro wants to make sure every rider is treated fairly.